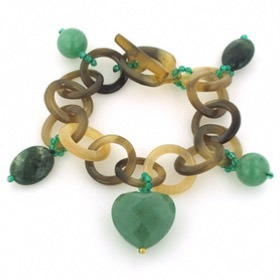 Chunky faceted green agate bead bracelet. 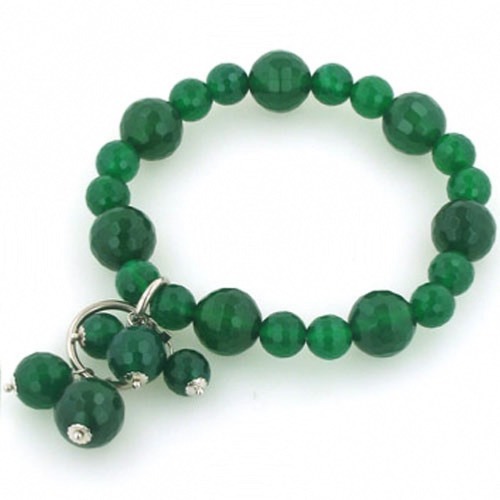 This gorgeous, elegant bracelet looks superb on your wrist. 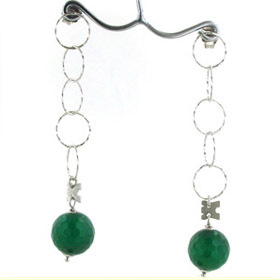 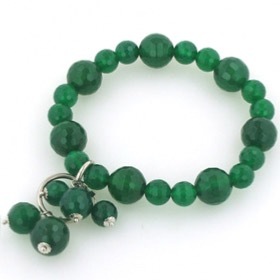 The bracelet is created with faceted green agate gemstones and has 5 bead charms attached to 2 sterling silver rings. 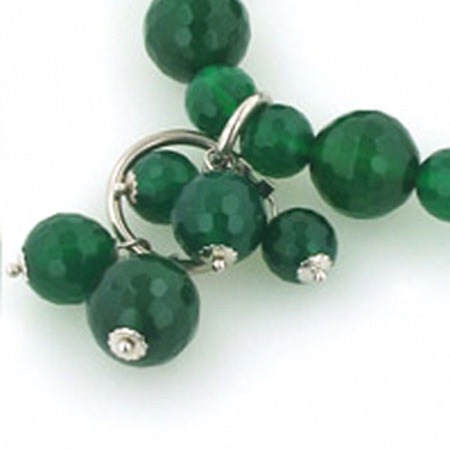 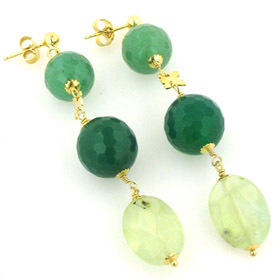 The beads are a vivid emerald green, are checker cut and catch the light as the bracelet moves. 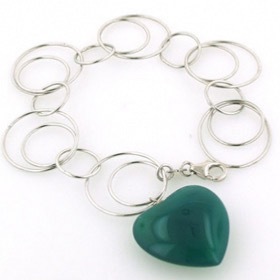 The bracelet is elasticated and so easy to put on and take off and will fit all wrist sizes. 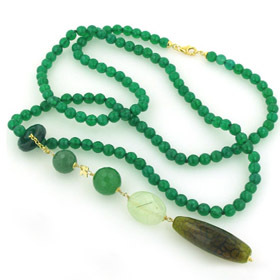 So beautiful, we bought a matching necklace Antonia (see below)! 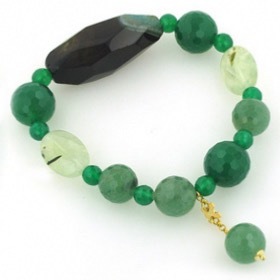 Enjoy Free UK Delivery on all our agate bracelets! 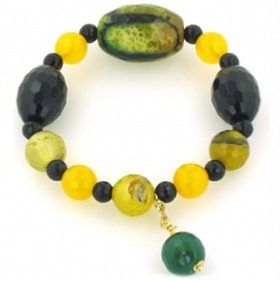 The bracelet is elasticated and so will fit all wrist sizes. 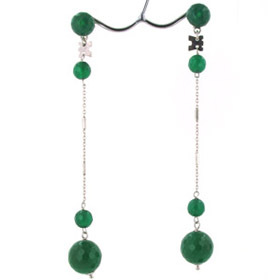 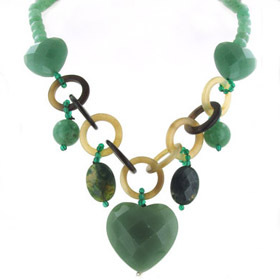 This green agate bracelet is made in Italy by Rajola and gift wrapped in beautiful branded packaging.